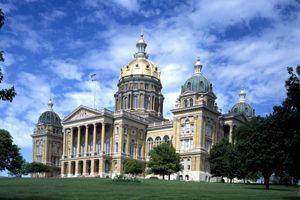 The first known peoples on Iowa soil were the ancient Mound Builders, followed by the indigenous Native American peoples. When North America was discovered, the land was claimed by various European nations until it was absorbed by the United States, became and territory, and in 1846, the 29th state to join the Union. After the Civil War was over, Iowa’s population continued to grow dramatically, almost doubling from 1860 to 1870. The introduction of railroads in the 1850s and 1860s transformed Iowa into a major agricultural producer. 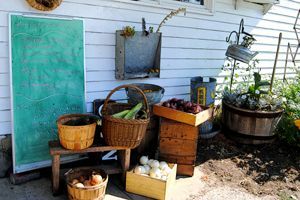 However, agriculture would not be enough to maintain Iowa’s economy in the long term and in the early 20th century, the state began to change, increasing its number manufacturing and service businesses. Today, the state continues to support its more than three million residents with a strong agricultural environment, as well as manufacturing, biotechnology, finance, insurance, and service businesses. While visiting Iowa say hello and give a wave to these fine folks as you follow Iowa’s National Scenic Byways along the shorelines of the mighty Mississippi River and over the hills above the Missouri River Plains. Trace the footsteps of Lewis & Clark, Buffalo Bill Cody, andNative Americans. Stop at some of the Hawkeye State’s best attractions including the Bridges of Madison County, Amana Colony, the Field of Dreams, and take a ride along the Boone & Scenic Valley Railroad. 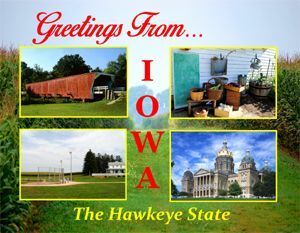 Have fun in Iowa — the American Heartland. Iowa State Flag – Iowa was almost 75 years old before the state flag was adopted by the Legislature in 1921. It was designed by the state’s Daughters of the American Revolution in response to Iowa national Guardsmen stationed at the Mexican border during WWI that requested an emblem of Iowa to represent their unit. The flag consists of three vertical stripes: the blue stripe stands for loyalty, justice and truth; the white stripe for purity; and the red stripe for courage. On the white center, an eagle carries streamers in its beak which are inscribed with the state’s motto: “Our liberties we prize and our rights we will maintain.” The word Iowa is in red below the streamers.